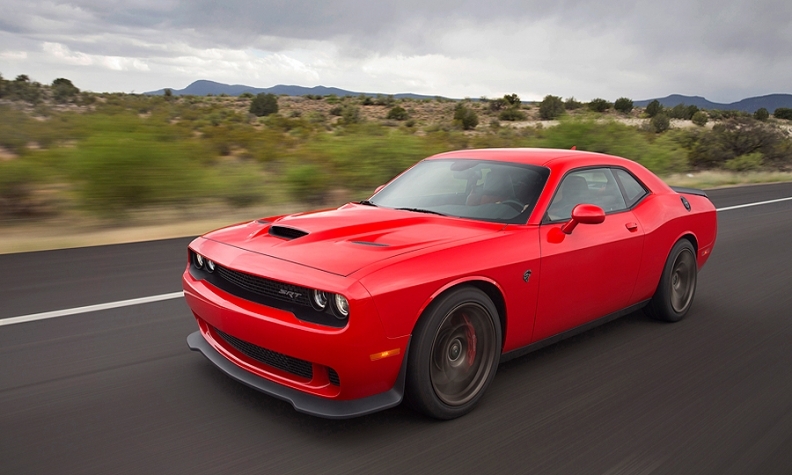 The 2017 Dodge Challenger SRT Hellcat is among the cars being recalled. Fiat Chrysler Automobiles is recalling about 214 2017 Dodge Challengers and Dodge Chargers in Canada outfitted with 6.2-litre supercharged Hellcat engines, citing potential fire and crash risks resulting from an engine cooling problem. About 1,200 more are being recalled in the United States for the same problem. The recall covers about 10 percent of those vehicles produced between Feb. 6 and May 30. FCA filed the recall with Transport Canada and the U.S. National Highway Traffic Safety Administration Aug. 8. The automaker said the hose used in the engines is to blame, as the material could separate from the crimped aluminum portion of the engine cooler line, allowing oil to spray onto the windshield. Rapid loss of engine oil and subsequent impaired visibility "can cause vehicle crash without prior warning," the automaker said in the recall notice.